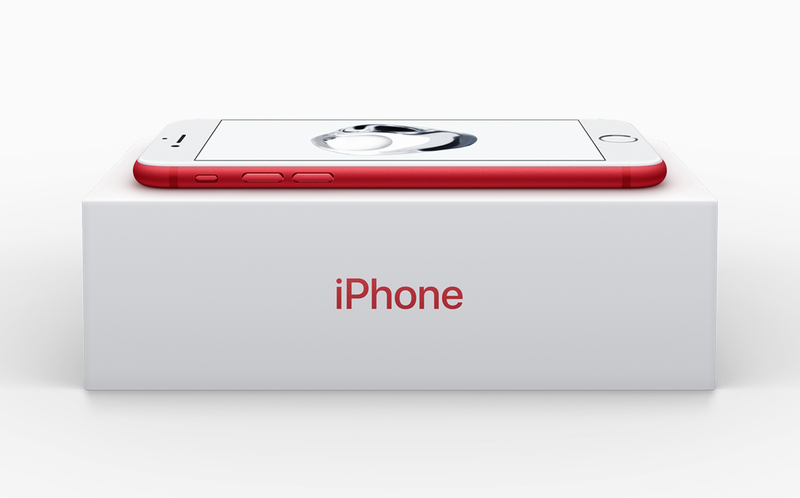 Apple has today announced iPhone 7 and iPhone 7 Plus RED Edition in a vibrant red aluminum finish, in recognition of more than 10 years of partnership between Apple and (RED). This gives customers an unprecedented way to contribute to the Global Fund and bring the world a step closer to an AIDS-free generation. The special edition RED iPhone will be available to order online worldwide and in stores beginning Friday, March 24. The iPhone 7 and iPhone 7 Plus (PRODUCT)RED Special Edition will be available in 128GB and 256GB models starting at $749 (US) from apple.com and Apple Stores, and from Apple Authorized Resellers and select carriers (prices may vary). The special edition RED iPhone joins iPhone 7 finishes in jet black, black, silver, gold and rose gold.